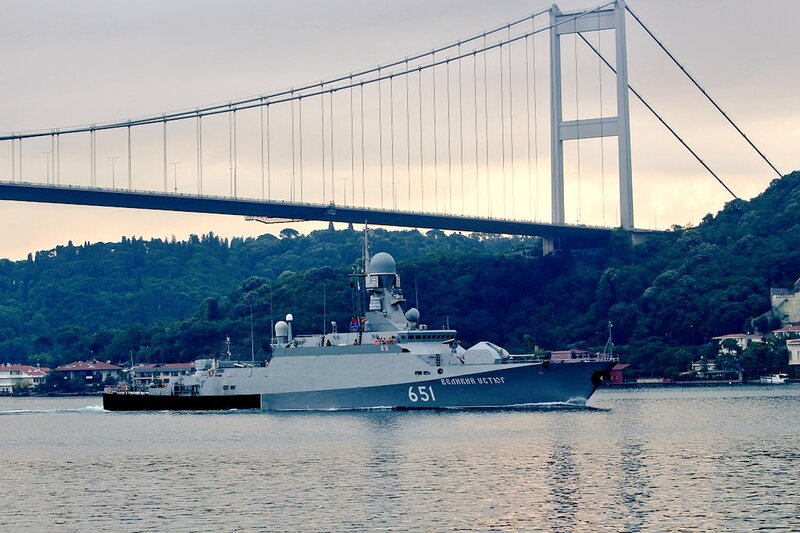 The former deployment appears to be related to Russia's ongoing conflict with Ukraine: the Russian military blog BMPD and other observers have linked it to the opening of the new bridge across the Kerch Straits connecting Crimea to Russia. “It appears very likely that they are not preparing to return to the Caspian,” wrote analyst Sergey Ishchenko on the website Svobodnaya Pressa. The latter is related to Russia's operations in Syria, the state news website RT reported. After that, the ships could be heading to join the Baltic Fleet, BMPD speculated. “It's not yet clear whether they will return to the Caspian Sea upon the completion of their military service in the Mediterranean,” BMPD wrote. The redeployments take place as the Caspian Flotilla is getting ready to move from its current home base in Astrakhan to Kaspiysk, in Dagestan. Russian officials have vowed that the new base at Kaspiysk will be one of Russia's most technologically advanced naval bases.